The remains of King Richard III have been confirmed with pin-point accuracy by the latest round of sequencing; exclusive details on how the late tyrant king might have looked like are also now available. A few years back, a most surprising find was made under a car park in Leicester: none other than King Richard III’s remains! The latest genetic screenings made public confirm the long lost king’s identity to the point of 99.999%. Moreover, mitochondrial DNA shows a match between Richard III and modern female-line relatives, Michael Ibsen and Wendy Duldig. What you might find more interesting is how the DNA sequencing predicts Richard’s physiology: he most certainly had blue eyes and probably had blond hair at least during his childhood. 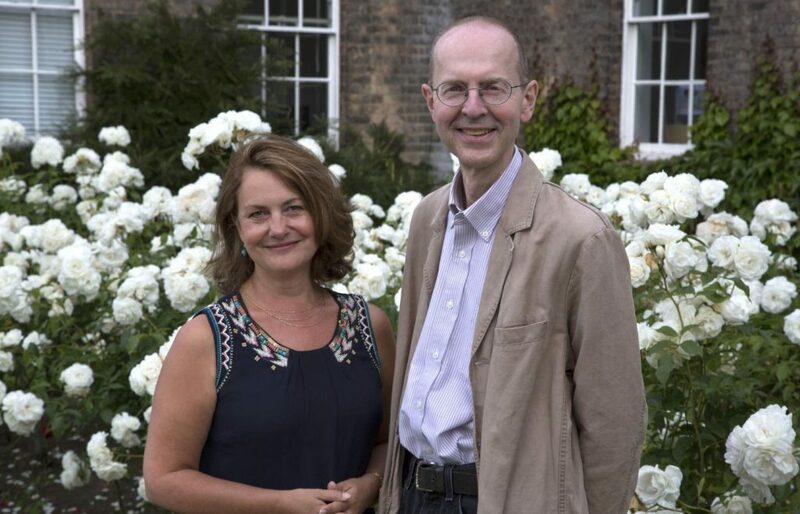 The team which closed the longest forensic case in history (529 years) was led by Dr Turi King from the University of Leicester Department of Genetics, but also included Professor of English Local History, Kevin Schürer, who is also Pro-Vice-Chancellor for Research at the University of Leicester, who led the genealogical research for the project. Richard III was the English king with the shortest reign – just 26 months. He was the last king of the House of York and the last of the Plantagenet dynasty. His defeat at Bosworth Field, the decisive battle of the War of the Roses, is sometimes regarded as the end of the Middle Ages in England. The exact location of his final resting place was lost to history, however. After Richard’s older brother, Edward V, died he was supposed to sit as protector of his nephew, Edward V. Under suspicious circumstances, however, Richard seized power and made Edward and his younger brother “disappear”. Despite his short reign, Richard has remained a legendary figure to this day, not because of any notable achievements. The credit for his notoriety belongs to Shakespeare who immortalized Richard III as an anti-hero in his famous play. Historical accounts depict Richard as a tyrant, while reports of his physiognomy tell he was an ugly hunchback who is “rudely stamp’d”, “deformed, unfinish’d”, and cannot “strut before a wanton ambling nymph.” Thanks to this monumental discovery, these accounts were finally confirmed as the skeleton remains clearly show signs of severe scoliosis, a medical condition in which the spine is curved from side to side, and which made him significantly shorter. The most important insights, however, come from Richard’s DNA. The researchers analyzed several genetic markers, including the complete mitochondrial genomes, inherited through the maternal line, and Y-chromosomal markers, inherited through the paternal line, from both the skeletal remains and the living relatives. The mitochondrial genome shows a genetic match between the skeleton and the maternal line relatives, whereas paternal line differs which doesn’t come as a surprise considering there was a 1-2% rate of “false paternity” per generation. “The combination of evidence confirms the remains as those of Richard III. Especially important is the triangulation of the maternal line descendants. The break in the Y-chromosome line is not overly surprising given the incidence of non-paternity, but does pose interesting speculative questions over succession as a result,” Professor Schürer said. The team used genetic markers to determine the king’s eye and hair colour. 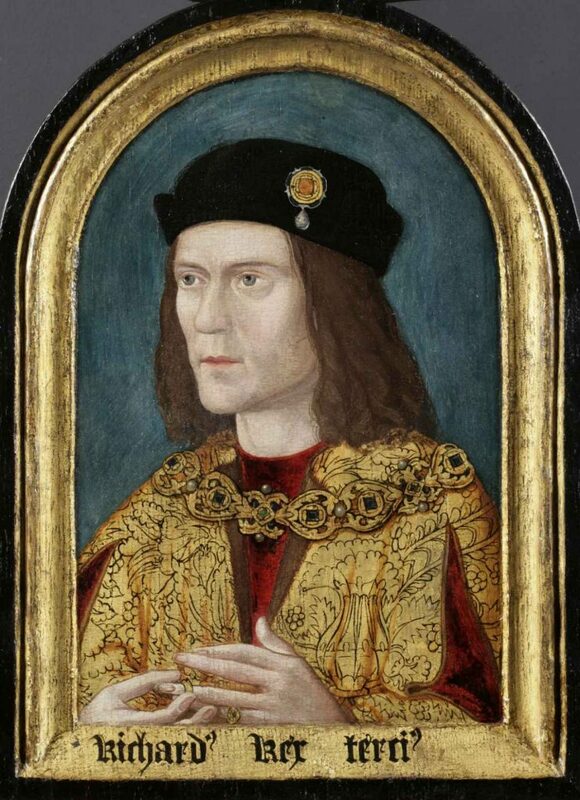 The results suggest Richard III had blue eyes, matching one of the earliest known paintings of the king. However, the hair colour analysis gave a 77% probability that the individual was blond, which does not match the depiction. What might happened is: either the king was born with a different hair colour (23% chance) or he was indeed born blond, only to darken his hair as he entered adolescence, as is often the case. “Our paper covers all the genetic and genealogical analysis involved in the identification of the remains of Skeleton 1 from the Greyfriars site in Leicester and is the first to draw together all the strands of evidence to come to a conclusion about the identity of those remains. Even with our highly conservative analysis, the evidence is overwhelming that these are indeed the remains of King Richard III, thereby closing an over 500 year old missing person’s case,” said Dr. King. The findings appeared today in Nature Communications.